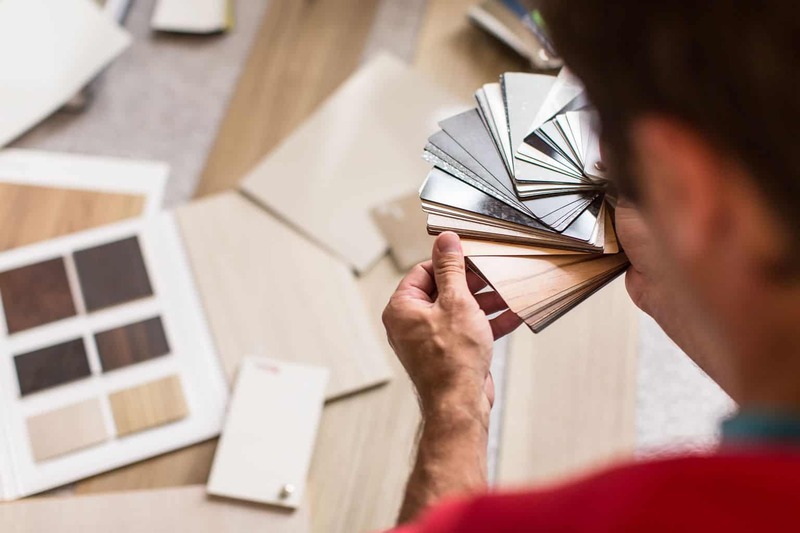 How do you decide which is best between laminate and bamboo flooring? We used to think it didn't make a ton of difference because we have a family with young kids and pets who don't notice or care about the condition of the floor. It's a floor and some parts of our house get a ton of traffic, so of course there is going to be wear and tear no matter what we do. So we might as well save ourselves a few bucks. Read more about the best types of Bamboo flooring and the best kinds of laminate flooring. I suppose you could say there was a little bit of resentment because we knew we would be the ones who had to take care of upkeep. However, when looking options, we noticed that there are differences in appearance, cost and upkeep that should be considered when searching for a good value for the money. The pros and cons make it worth making the comparison between laminate and bamboo so that you can make a choice you won't regret. 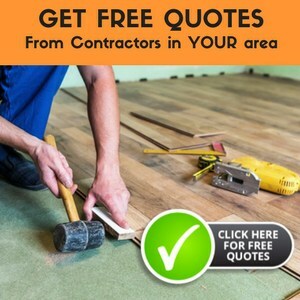 The design of laminate flooring has improved to make it easier to install. You no longer have to glue pieces together to install laminate. Now you can just lock it into place over the course of a weekend. It can be cut with a handsaw or utility knife as needed. It's Inexpensive. Laminate tends to be popular with people who don't want to spend a lot for a new floor. The improvements in design that has made it less difficult to install also means that amateur DIY enthusiasts like to save on labor costs by installing it themselves. The right options can be attractive. It might not fool professional contractors into thinking it's real hardwood if they look closely, but it also doesn't have the imperfections of real hardwood. It's easy to clean. It is easy to clean with a vacuum and a mop with a cleaner that is specifically designed for laminate. It usually has a protective layer that defends against dents, scratches and stains, so it's also not very hard to maintain as long as you remember to mop up spills quickly. It's vulnerable to standing water and excessive moisture. If you don't notice a spill at first or there's a lot of water left on the floor after mopping, this can cause damage to the laminate. If there's flooding or water damage to your house, you'll have to call the professionals promptly and possibly replace the laminate to avoid the dangers of curling and warping to your floor. It has a "chic" modern look. Bamboo has become increasingly popular in recent years for being an attractive addition to homes with a modern decorative scheme. It's durable. High quality bamboo flooring can last about as long as most hardwoods. Quality uncarbonized bamboo is about equivalent to red oak in terms of durability and some bamboo flooring has been engineered to be even more durable. It's eco-friendly. Bamboo is a type of grass that grows fast. The right options leave a very small carbon footprint when producing it and bamboo is a very sustainable building material. It's low-maintenance. Bamboo can be cleaned with a little soap and water. It's very resistant to water, so there's no harm in just letting your robotic Scooba handle the job. It's inexpensive. 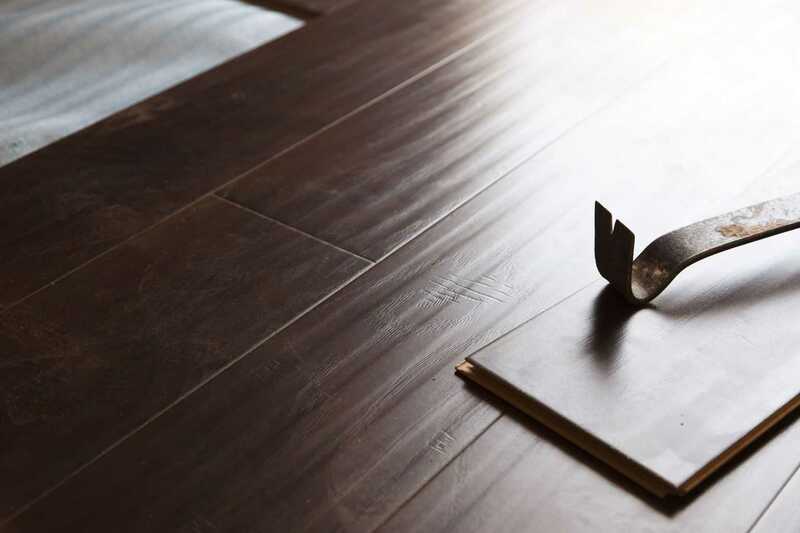 Depending on the options you choose, bamboo flooring can range from $5-8 per foot. It can scratch and dent easily. This is especially true with low-quality bamboo or bamboo that has been softened during the process of preparing it for use, but furniture, pets and high-heeled shoes can damage any bamboo floor over time. It is a natural material that is susceptible to water and moisture. Although bamboo is a little more resistant to water than some hardwoods, exposure to water and moisture can cause it to warp, become discolored, or develop a mold problem over time. Beware of bamboo floors that were manufactured in China. 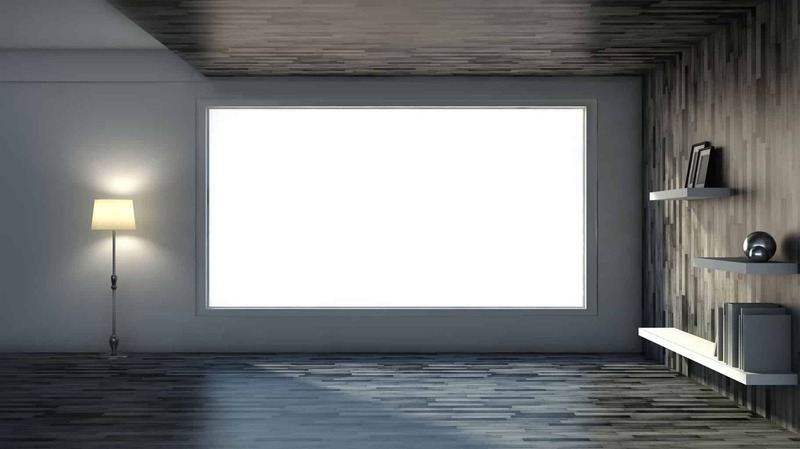 These floors may have been manufactured using processes that do not produce a quality floor or make use of toxic chemicals that can seep into the air you breathe. The modern look can conflict with a home that is otherwise vintage-styled. If you're looking for a floor that can match the overall appearance for your home, bamboo may or may not be the best option depending on the overall style you look for. 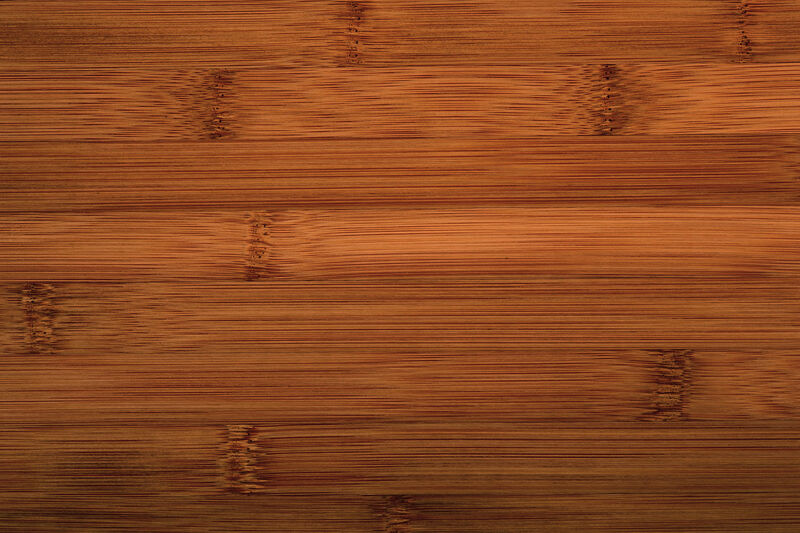 So, should you choose laminate or bamboo? Both are equally valid options depending on what you're looking for. Laminate has improved in recent years and can be nearly as good as hardwood. Bamboo, on the other hand, is a natural material that is eco-friendly and not as expensive as hardwood. We went with the more durable option because, hey, we have kids. I have a cottage style home with 7.5′ ceiling heights. There are 2 bedrooms, a living room and study room all on concrete. There is a hall between bedrooms which leads into the kitchen area. The hall and kitchen are a wood subfloor. There is tiny basement under this area. Open floor concept of kitchen, living room and study areas. Every floor in all of these rooms had been covered in Armstrong tiles that were glued down. The home is over 40 years old so a lot of the original floor is cracked or missing tiles. Ugly! What would be suggested for adding warmth (concrete is cold), moisture control (mold and mildew concerns), softness and continuity throughout these areas? I would prefer not to do tile with heated floor because of the expense and the hard feeling of walking on this type but I’m open to ideas. We also have 2 cats. One has digestive issues so occasionally there are messes to clean up. 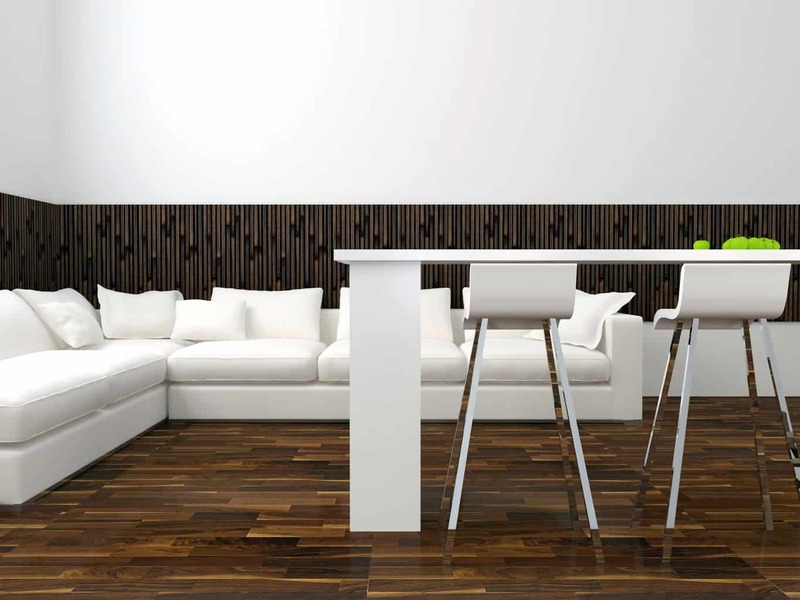 there are some really nice luxury vinyl planks that look like wood. lifetime warranty. no problem with cat or dog mistakes. shop around because some look way better than others. some are reasonably priced and still great and others are very expensive. some require underlayment, etc. and some require nothing. I really like the way the bamboo looks but I’m concerned about approval from my HOA. I live in a small (950 sq ft) upstairs condo & I must have as much padding as I would get from laminate. Also isn’t Perrgo a brand name for a laminate? If not what is the difference?